With the news of Jodie Whittaker being cast as the new Doctor, most every article is claiming that she is "the first woman" in the role. However, I've also seen a lot of fans scoffing and saying that she is not. It depends on what you consider "official". Doctor Who is famous for its very loose and ill-defined canon, with tons of spin-off materials (TV movies, comics, novels, audio-only stories, etc.) piling on top of the TV shows. One, in particular, stands out as an anomaly: the Comic Relief special. Of particular note here is that, in that show, The Doctor regenerates multiple times over the course of the movie, finally into Joanna Lumley. So, for most purposes, it's accurate to claim that Jodie Whittaker is the first female to play The Doctor. The backlash against the media isn't because they claim she's the first female Doctor. It's because there are a number of media outlets claiming she's the first female Time Lord. That's patently untrue, as so far in the show we have seen many female Time Lords. and one of the classic villains was a female Time Lord called The Rani. There were multiple minor/unnamed female Time Lords shown on the few occasions where The Doctor returned to his home planet. Depending on how you define a Time Lord (vs. just being genetically Gallifreyan) it's also possible to count The Doctor's granddaughter Susan (most likely), his daughter Jenny (probably not) or his wife River Song (possible) as Time Lords. It's not even the first time that a male Time Lord regenerated into a female one. It was hinted at a few seasons ago when The Doctor talked about an old friend of his, the Corsair, being both "he" and "she" at different points. In Season 8, we saw the Doctor's long-time nemesis The Master had regenerated into Missy, played by Michelle Gomez. And we finally, in Season 9, we see an on-screen regeneration of a Gallifreyan general from male to female. The backlash is coming because it's so trivially easy to check this kind of thing, but so many media outlets are making the same silly mistake. 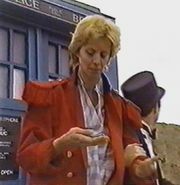 Joanna Lumley played the 13th Doctor in Comic Relief: Doctor Who - The Curse of Fatal Death (1999). 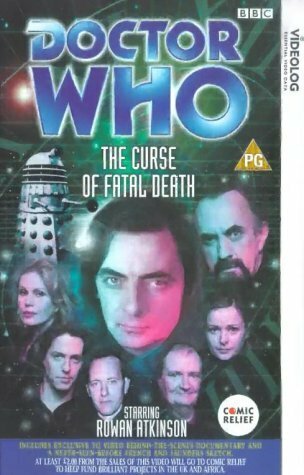 While not a part of any future Doctor Who continuity, this was a BBC approved production, written by future series writer and show runner Steven Moffat. It's fan fiction and not canon, but if Rowan Atkinson's comedy version can be considered, then it seems to me that one could also consider the fan fiction film series that contains The Wrath of Eukor and Broken Doors (which are not comedies, and are earlier) from 1984-1988, which cast actress Barbara Benedetti as The Doctor. The home page of the series. After Joanna Lumley there was Arabella Weir in the 2003 story Exile from Big Finish productions (also starring David Tennant). In the Doctor Who universe, who is the mysterious lady who carries the blue journal? Was “Sleep No More” the first Doctor Who episode without the theme music and credits? When was “Retcon” (amnesia pill) first used in the Doctor Who universe?